It’s been out for almost a year and we’re still unpacking how much disappointment is inside the diminutive Apple Watch. Of course, given the state of the smartwatch market as it exists in our reality—as opposed to Universe 2184L, better know as the Bananaverse, the universe pundits think they live in—the Apple Watch is a smash hit. A survey by IDC recently estimated that while Android Wear is struggling to gain traction, Apple may have sold as many as 11 million Watches. (Yes, the Macalope recently poked fun at other figures from IDC but, as he noted at the time, there’s a distinct difference between their oft-wrong sales projections—which seem to always favor Microsoft—and their estimates of sales to date.) 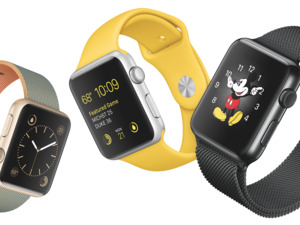 Regardless of any estimates, Tim Cook said the Watch was off to a better start than the iPhone and the iPad. So, it is literally doing better than Apple’s “smash hit” products did at the same point in their life cycle. The only test it fails is the anecdote-based “is everyone wearing one” test which, as we all know, trumps all. It’s hard to find huge crowds of young folks sporting the Watch in public, even in techie havens like San Francisco. The sea-change in public behavior—say everyone tethered to their wrist rather than bending over their phone — just hasn’t happened. And Apple CEO Tim Cook’s public stance on encryption is doing more to distance him from the long shadow of late Apple co-founder Steve Jobs than this new device. Wait… wait… Did you actually just use Apple’s stance on encryption to beat it over the head on Watch sales?! 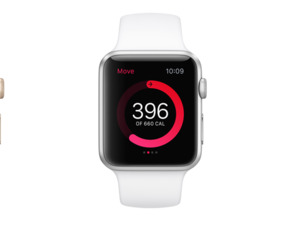 “The Watch hasn’t been a hit like a typical Apple product,” says Gene Munster, an analyst with Piper Jaffray. Other than in sales where it has literally been a typical Apple product. Sales of 12 million to 20 million Watch sales wouldn’t be bad for a new-product launch from Apple. Every real piece of evidence in this piece points to the Watch doing exceptionally well and yet the conclusion is the exact opposite. This entire article is the written equivalent of a chart with the bottom half cut off. But current estimates of Watch sales are far lower than the most optimistic estimates that were made before the Watch launched. Ohhh, so because some people who are super bad at their jobs jammed some unrealistic numbers into their spreadsheets, the Apple Watch is a failure. Got it. Why didn’t you just say so up in the lede? You know, say that the Watch wasn’t living up to your Narnia-esque imaginings? Just let us know when you’re turning the dial past 11 to unpossible. Then we’ll know what to expect.